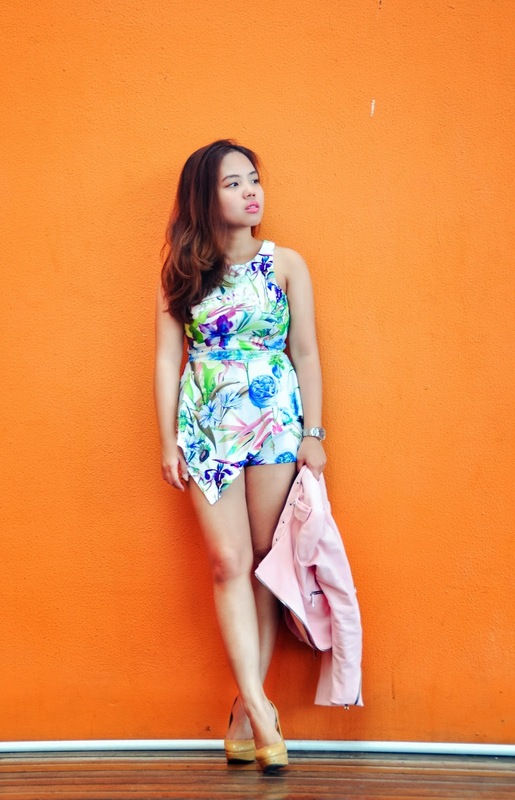 Summer might be over, but I just want to share a bright kinda outfit as last tidbits of the sunny season. Recently received this gorgeous jumpsuit from she inside, an online market for everything trendy in affordable price. Never had a bright printed piece of clothing before and this might be my first pick. "Each of us has an inner dream that we can unfold if we will just have the courage to admit what it is. And the faith to trust our own admission. The admitting is often very difficult." Don't you love how it falls? The material is certainly comfortable and it is perfect for casual day! See similar jumpsuit here, here, or here. The jacket itself is a steal, I never had a pastel coloured outerwear nor a pink one. So the combination of this ensemble is a step to explore my style further i guess. 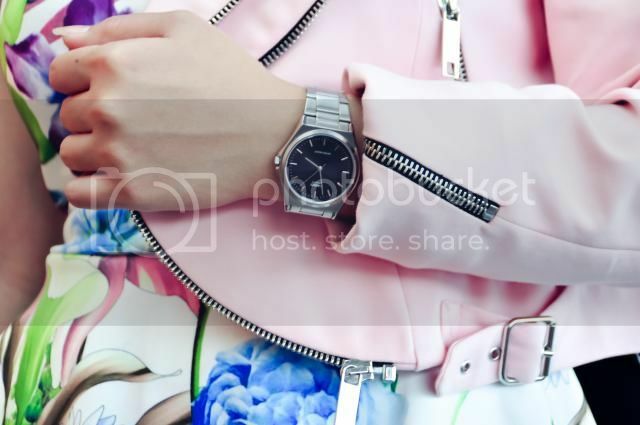 Here's the beautiful details of my jacket with its edgy zipper and my casio watch from zalora. And yes if you notice it's also my first post with bright background. What do you think ? what a dreamy jacket!love it! you look so good, beib! Amazing outfit, you look amazing! Really nice look. 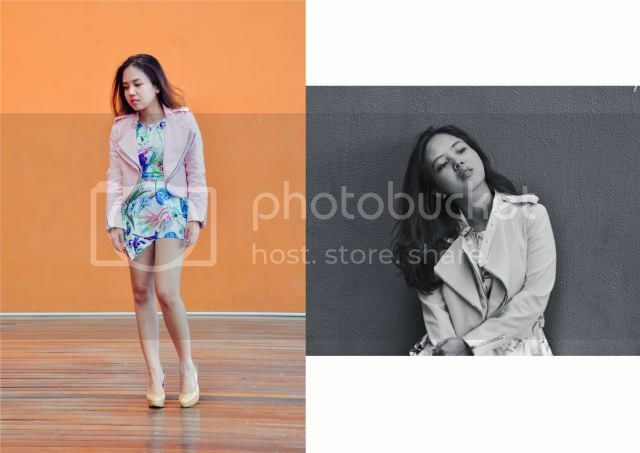 Love those pink layered blazer and pretty pattern oh that dress. I love your jumpsuit and outer! It matches perfectly, and you look great! I really like the colour combinations of your look.